Found her on the 1900 Maple Creek, Outagamie, Wisconsin census (dist 91 img 11) age 36. Father, mother born New York. She has 8 children, these are not entered. Family 1 : Herbert Horton EDWARDS Sr.
Found her on the 1920 Orange, New Haven, Connecticut census (dist 412 img 2) as Josephine F. Edwards age 24. She and her husband Herbert are living with Francis Peck, husband of Nellie. Found her on the 1900 Pulteney, Steuben, New York census (dist 103 img 29) as Mary F. Overhiser age 40. Found her on the 1910 Pulteney, Steuben, New York census (dist 153 img 39) as Mary F. Overhiser age 50. Found her on the 1900 Township 140, Stark, North Dakota census (dist 163 img 10) as Mattie Finger age 20. She and her husband are living with his parents. Found her on the 1910 Township 139, Stark, North Dakota census (dist 170 img 8) as Mathe M. Finger age 30. Has given birth to 5 children, 5 are living. Found her on the 1920 South Heart, Stark, North Dakota census (dist 204 img 1) as Mattie M. Finger age 62. 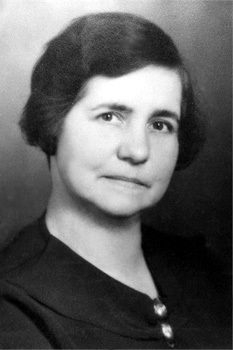 Found her on the 1925 South Heart, Stark, North Dakota state census (img 1) as Mattie Finger age 45. Found her on the 1880 Copake, Columbia, New York census (dist 9 img 1) as Sara Stickles age 21, keeping house. Found her on the 1920 Livingston, Columbia, New York census (dist 38 img 10) as Sarah Stickles age 58. Found her on the 1870 Lehman, Pike, Pennsylvania census (img 18) as Mary Vanauken age 35. Found her on the 1880 Middle Smithfield, Monroe, Pennsylvania census (dist 221 img 4) as Mary Vanaulten age 46. Found him on the 1900 Bridgeport, Fairfield, Connecticut census (dist 48 img 51) as James E. Butler age 1. Found him on the 1930 Bridgeport, Fairfield, Connecticut census (dist 79 img 5) as James E. Butler age 31, proprietor, welding shop. Also in his household is his widowed father James T. Butler age 67. Found him on the 1910 Jerusalem, Yates, New York census (dist 176 img 21) as William T. Dinehart age 44, farmer. Found him on the 1920 Jerusalem, Yates, New York census (dist 177 img 2) age 53, farmer and carpenter. Found him on the 1925 Jerusalem, Yates, New York state census (A.D.01 E.D.03 img 2) as William T. Dinehart age 59. Found her on the 1880 Manhattan, New York, New York census (dist 673 img 1) as Mary Finger age 18. Found him on the 1870 Harrison, Gloucester, New Jersey census as Adam Finger age 3 months. Found him on the 1900 Arnold, Westmoreland, Pennsylvania census (dist 78 img 17) age 30, glass gatherer. Found him on the 1910 Port Allegany, McKean, Pennsylvania census age 40, married. He is a boarder along with 14 other men in a hotel run by Patrick J. Rogan on Pearl Street. All of the boarders are employed by a 'glass factory,' with various jobs such as gatherer, blower, tool dresser, slater, laborer, and painter. Further research reveals an Appert Glass Company, founded in 1898, that merged with the Mississippi Glass Company in 1901 and employed about 300 people. Found him on the 1920 Glassboro, Gloucester, New Jersey census (dist 141 img 10) as Edward Finger age 49, laborer, railroad. Sons William and Louis are both living in his household, both listed as married, as well as daughter-in-law Leonora Finger age 22. It's unclear which brother she is married to. Found him on the 1930 Glassboro, Gloucester, New Jersey census (dist 11 img 18) age 60, baggage clerk, W.J.S.R.R. [West Jersey & Seashore Railroad] His sons William and Louis are both listed as divorced and living with him. Charles was a private in Companies E and G, 126th NY Volunteer Infantry. He enlisted 11 Aug 1862 at Geneva, New York in Company E and was transferred to Company G on 25 Dec 1864. He was discharged 26 Jun 1865 at Annapolis, Maryland. He filed a pension application and it was denied, his case was later reopened and he was granted a pension based on "heart disease, kidney and bladder complaint, throat trouble and rheumatism." Also a gunshot wound of the right hand is mentioned. A medical examination document describes him as 5' 9" 161 lbs. and a blacksmith. In 1897, neighbors Warner Babbit and Martha Babbit completed an affidavit concerning Charles' character. - pension application 505.746, NARA. "in the case of Charles H. Fingar, also borne Charles H. Finger... Pris. of War records show him captured and paroled at Harpers Ferry Sept 15, 1862. Present at Genl Hospl C.P. Md June 22, 64 admitted from Genl Hospl Batts Md." Found him on the 1850 Benton, Yates, New York census (img 6) age 5. Found him on the 1870 Potter, Yates, New York census (img 19) as Charles Finger, age 25. He is living next door to David Wells. Found him on the 1909 Cherokee, North Carolina U.S. Indian census (img 254) as Eugene Finger age 1. Found him on the 1910 Civil District 10, Blount, Tennessee census (dist 26 img 12) as Eugene Finger age 2. Found him on the 1912 Cherokee, North Carolina census (img 500) as Elmer Eugene Finger age 4. Found him on the 1920 Civil District 10, Blount, Tennessee census (dist 26 img 15) as Eugine Finger age 11. Found him on the 1930 District 10, Blount, Tennessee census (dist 18 img 19) as Jean V. Finger. (probably the census taker wrote Jean rather then Gene, for Eugene). Found him on the 1930 Cherokee(North Carolina) census (img 60) as Elmer E. Finger age 21, single, living at home. Found him on the 1900 Grover, Marinette, Wisconsin census (dist 131 img 7) as Frank Finger age 13. Found him on the 1920 Little River, Oconto, Wisconsin census (dist 164 img 18) as Frank Finger age 33, farmer. Father, mother speak Bohemian, born Czech. Found him on the 1930 Little River, Oconto, Wisconsin census (dist 14 img 12) as Frank Finger age 43, farmer. Also in his household is Kirt Lawrence age 21, nephew. Farm laborer. Found on the 1850 Benton, Yates, NY census (img 85) as Jane Finger age 8 months. Found her on the 1860 Benton, Yates, New York census (img 57) as Jane Finger age 10. Found her on the 1870 Benton, Yates, New York census (img 39) as Jane Finger age 20. Found her on the 1920 Torrey, Yates, New York census (dist 188 img 16) as Jane VanVlake age 69. Found him on the 1930 Ripley, Tippah, Mississippi census (dist 4 img 22) as John H. Finger age 18. Found him on the 1910 New Orleans Ward 1, Orleans, Louisiana census (dist 8 img 18) as Jos Finger age 21, single, living at home, butcher, market. Found him on the 1920 Houston Ward 3, Harris, Texas census (dist 58 img 4) age 32, architect, house. Came to the U.S. in 1903, naturalized in 1916. Speaks Hebrew. Father, mother born Austria. Found him on the 1930 Houston, Harris, Texas census (dist 86 img 72) age 43, architect, building. Came to the U.S. in 1903. Also in his household is Isabella Levy age 58, mother-in-law. Found him on the 1870 Meramec, St. Louis, Missouri census (img 9) as Joseph W. Finger age 2. Found him on the 1880 Meramec, Jefferson, Missouri census (dist 196 img 2) as William Finger age 12. Found him on the 1900 Pacific, Franklin Missouri census (dist 26 img 7) as Wm Fanger age 32, Foreman tie=landing. Found him on the 1910 Boles, Franklin, Missouri census (dist 47 img 4) as William Fanger age 42, fireman, mill. Found him on the 1920 St. Louis, St. Louis, Missouri census (dist 495 img 22) as William Fanger age 52, mechanic, motor car co.
Found him on the 1930 St. Louis, St. Louis, Missouri census (dist 183 img 15) as William Fanger age 62, laborer, dairy. Found her on the 1900 Cranford, Union, New Jersey census (dist 91 img 8) as Lena Kleinfelder age 33. Has given birth to 2 children, 2 are living. Her mother, Mary Finger age 75 is living with her family. Found her on the 1930 Newark, Essex, New Jersey census (dist 130 img 17) as Lena Kleinfelder age 63, widow. She is living with her daughter Lena and her husband William Adams. 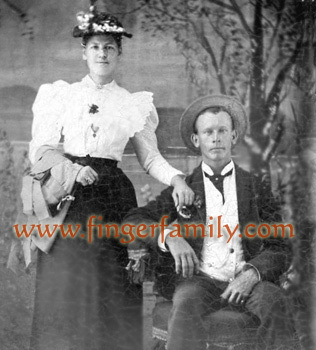 She is listed as Maria Finger on sons Elihu and James and daughter Peggy's baptism records. Found him on the 1920 Lynn Ward 5, Essex, Massachusetts census (dist 174 img 20) as Milton Finger age 3. Found him on the 1930 Lynn, Essex, Massachusetts census (dist 163 img 21) as Milton Finger age 13. Finger - Milton (Ray Leather Waste Co) h Swampscott - 1951 Lynn, Massachusetts City Directory. Found him on the 1860 Gallatin, Columbia, New York census (img 38) as Philip H. Finger age 2. He is not listed with the family on the 1870 Gallatin, Columbia, New York census. He filled out a passport applications in 1915 and 1920 to travel to Turkey, Bulgaria, Greece, France and Italy to buy tobacco. Found him on the 1900 Charlotte Ward 1, Mecklenburg, North Carolina census (dist 44 img 23) as William Finger age 16. Found him on the 1940 Gorham, Ontario, New York census (dist 35-41 img 7) as Charles Hunt age 33. Mechanic, garage. Found her on the 1880 Riga, Lenawee, Michigan census (dist 166 img 1) as Iley M. Lewis age 8. Found her on the 1910 Sylvania, Lucas, Ohio census (dist 29 img 2) as Iley Chandler age 38. Has given birth to 4 children, 4 are living. Found her on the 1920 Sylvania, Lucas, Ohio census (dist 11 img 11) as Iley M. Lewis age 47. Found him on the 1850 Saugerties, Ulster, New York census (img 146) age 54, farmer. Found her on the 1900 Saugerties, Ulster, New York census (dist 131 img 50) as Emma Preis age 15. Some sources say born 11 June 1887. Found him on the 1920 Saugerties, Ulster, New York census (dist 200 img 9) as Clinton Ricketson age 31. Painter, paint shop. Father born Rhode Island, mother born New York. She is referred to as Mrs. Herman Mesick of Cleveland, Ohio in a newspaper article in 1959. She is referred to as Mrs. Herman Mesick of Birmingham, Mich in a newspaper article in 1965. Found her on the 1920 Germantown, Columbia, New York census (dist 18 img 17) age 1 year 8 months. Found him on the 1910 Pine Plains, Dutchess, New York census (dist 59 img 6) as Walter M. Rowe age 25, machinist, automobile. Father, mother born New York. Found him on the 1920 North East, Dutchess, New York census (dist 27 img 10) as Walter Rowe age 35, machinist, garage. Found him on the 1940 Millerton, Dutchess, New York census (dist 14-37 img 12) as Walter M. Rowe age 55, widower. Automobile mechanic, commercial garage. Found her on the 1900 Buffalo Ward 14, Erie, New York census (dist 107 img 15) as Hulda T. Scherer age 4. Found her on the 1915 Buffalo Ward 19, Erie, New York census (A.D. 07 E.D. 03 img 31) as Hilda Gross age 19. She and her husband Herman Gross are living with his parents. Found her on the 1920 Rochester Ward 18, Monroe, New York census (dist 199 img 21) as Viola Finger age 26. Found her on the 1930 Rochester, Monroe, New York census (dist 92 img 41), age 36. MR. EDITOR: - I visited to-day (Jan. 31st) the District School No. 14, taught by Mr. Charles Tinklepaugh, son of Mr. Egbert Tinklepaugh. I was very much pleased indeed with our school. I think Mr. Tinklepaugh to be one of the best young teachers we have. Yet if I understood him, this makes the 3rd term he has taught. "Order is said to be the first Law of Heaven." And Mr. T. has order, everything in hiis school goes like clock work. His watch is on the desk before him, and each class like higher colleges is called at its appropriate time by a gentle tap on the desk bell. Some are said to govern by the Word and the L-o-o-k, which of course is good if obeyed. But he, as I said, by the gentle tap of tho bell and snap of the thumb and finger sent all to their proper places, in their proper order, quiet, and still. I think we have a model school. Found him on the 1850 Saugerties, Ulster, New York census (img 120) age 25, stone cutter. He is living next to his wife's brother Henry. Found him on the 1860 Saugerties, Ulster, New York census (img 48) as Josiah Wolven age 35, master carpenter. Found her on the 1870 Saugerties, Ulster, New York census (img 183) as Josiah Wolven age 46, carpenter. Found her on the 1850 Marion, Lawrence, Indiana census (img 31) as Maria Finger age 40. Found her on the 1860 Marion, Lawrence, Indiana census (img 57) as Maria Finger age 51, born North Carolina. Found her on the 1900 Clermont, Columbia, New York census (dist 10 img 12) as Anna L. Rockefeller age 38. Has given birth to 2 children, 2 are living. Found her on the 1910 Clermont, Columbia, New York census (dist 9 img 8) as Anna L. Rockefeller age 48.